Fuji Television's late-night anime programming block +Ultra revealed its series lineup for years 2019-2020. For the first series on +Ultra lineup, the anime adds more supporting cast members to the list. The series is slated to premiere on April 11 and will be exclusively distributed via Netflix. Fuji TV's +Ultra programming block announced that part of its lineup would be the previously announced TV anime adaptation of Paru Itagaki's Beastars manga. The series is slated to air this fall with an exclusive streaming distribution via Netflix. The TV anime adaptation of Taku Kuwabara's Kuutei Dragons (Drifting Dragons) manga was announced as part of the +Ultra lineup. Its official website opened today announcing the main staff members. The series will also be exclusively distributed by Netflix. Kodansha's good! Afternoon monthly magazine is serializing the fantasy manga since June 7, 2016. Five compiled manga volumes were released with the sixth set to ship on May 7. Kodansha Comics USA is releasing the series in English as a simulpub and per volume digitally. The simulpub chapters are also distributed through Crunchyroll. It was recently announced that the publisher will release the series physically later this year. Anime movies Birthday Wonderland, Kimi to, Nami ni Noretara, and Saenai Heroine no Sodatekata Movie: Fine are also included in the Fuji TV +Ultra/noitaminA movie lineup. I remember Kuutei Dragons having a hint early this week that some sort of announcement would come. Glad it's an anime. This reminds me to pick up the manga again. After reading the manga for Beastars im really hype for it, but i hope the combo Netflix + CGI doesnt ruin its chance of success in the West. Anyway, +Ultra's line-up for the upcoming year looks way better than last year. Dude,The manga does not focuses on it too long.So you should give it a shot. With nothing announced for Summer, does that mean that Carole & Tuesday will be 2-cours straight? It was already announced for two-cour, but I was assuming that it'll be a split cour. Well, this is definitely good news. Super hyped for Beastars, as it's one of the best ongoing manga right now. Orange is a great CG studio to, so I'm not worried about the visuals. Netflix exclusivity does make me worry for its popularity. Also, it's pretty much confirmed to be one-cour, which is a shame because some of it's best moments could've been covered had it been two-cour. Fingers crossed for a second season announcement. Damn, all these look glorious! Especially looking forward to Carole & Tuesday and Beasters but the others look really good too! 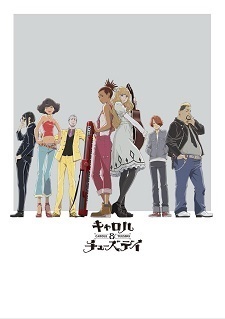 I hope Carole & Tuesday will be of two cours but I’m fine with a split-cour too and certainly Beasters to be >1 cour. 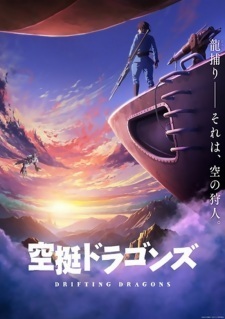 Drifting Dragons seems like a cool show too, will keep an eye on it for now. Highly looking forward to Kimi to Nami ni Noretara and Saenai Heroine: Fine Movie among the Movies! No announcement for Saenai Heroine: Fine on the finalised date yet so I’m assuming it’ll be in Fall, also since CloverWorks has got the Seishun Buta Yarou later this Summer. saying that they're not focusing on it too much isnt gonna change his mind. even if that fact would be for only 1 second in the anime it would be too much for him. hes already a lost cause here. Really underwhelming line-up like noitamina. Gonna watch all three of these. 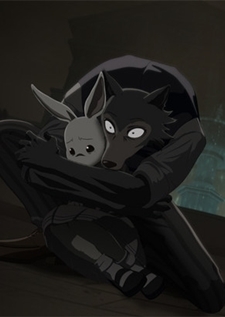 Beastars looks to be the most different from the bunch, so I'll give it a shot. I'm only checking out the watanabe one. I guess I'm the only one who is excited for Carole and Tuesday. Rather this line better than noitaminA lineup. Skimmed the first chapter of beaster and surprisingly its actually good as other says. But I have a feeling that will be seriously underwatched..
Really unsure about Carole & Tuesday but I liked the director brings up the script writer who have done TV shows so my curious is there. Kuutei Dragons' coming in winter 2020 and is really far away. 13 fps janky CG show rivaling Berserk. Can't wait for more epic sauce to become poisoned with CGMonella. Which anime you're talking about ? Oh, alright. Fair enough then ! Not that i have any interest in it since it's quite clear from the premise it's not something i'd like, but i feel bad for the fans of the manga, ya know? And while the humans look ok, the dragon's certainly look mechanical and not at all organic, like they are machines, unless it was like that in the manga as well, this is a big fail, shame for Kuutei Dragons, at least Beastars seems to have better CGI. I'm looking forward to Carole & Tuesday and Beastars. Kinda read the first volume of Beastars and boy was it awesome. Although, I didn't have the best first impression when it was shown to me by someone I follow on Twitter. After seeing snip of other scenes I kinda feel confident that Orange studio could make me bare to watch a CGI anime.